This! Or call them. I think their website may not allow you to mix the order, but they will do it for you if you call. I've done it several times. Great customer service! Don't bash them if you haven't tried all avenues. I called them! The women who answered the phone said they would not do it. Not sure if they use some offshore service to answer the phone because I struggled to understand her. They offer the sampler package that may be a dozen but we wanted a few more than that as we were splitting it up. We decided to pay a bit more and purchased a dozen each of 3 different balls to try out, but I was put off a bit by the phone conversation. I knew the website wouldn't allow it, but I thought a phone call would take care of it. It didn't work out and I'm still not sure why not. I even explained that we were new customers and wanted to try their product. I am all about working with small business and I have read good things about their product. The new Pro “AMEN” ball they came out with for Masters week looks incredible! Ordered 5 dozen on Tuesday and they arrived today! The logo and green colored font is amazing!!! Anyone play the red ball and can speak on durability of the color? Interested in getting the sample pack soon and may order the red ball for the model I like best. I like to play balls til they die or get lost, so I'm hoping the color doesn't fade or scuff too quickly. Also, which is easiest to find on the ground and track in flight? Seems red would be easiest to find. I have played the red a little and the lime somewhat regularly. The color of the balls seems to be painted more than a dyed urethane. So what that means it a good scuff off a tree or cartpath and you will see white underneath pretty quickly. 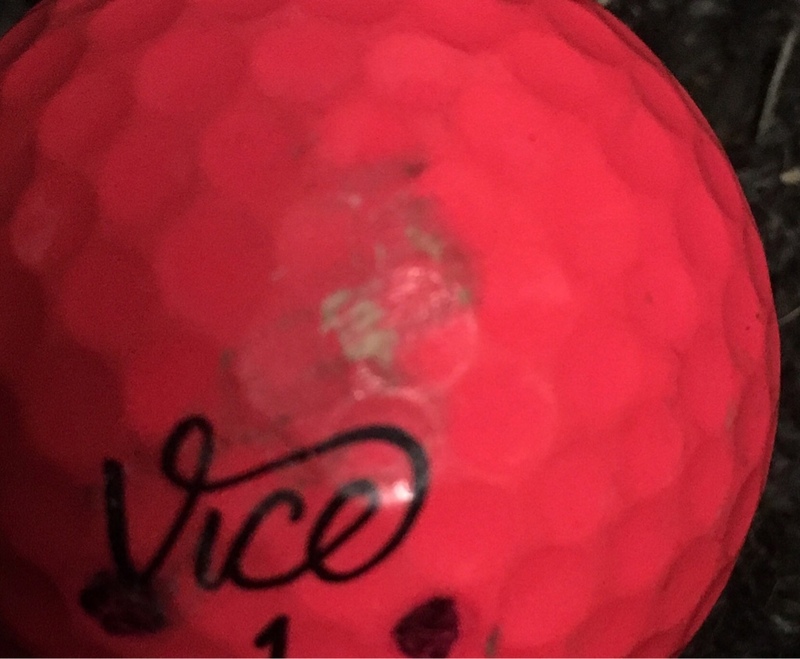 I would say the vice colored balls are NOT for someone who plays balls for more than a round. 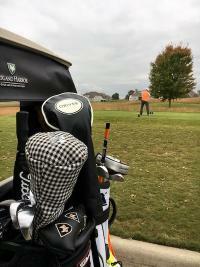 Performance is great, price is very good if you typically use 2-3 balls a round. That's a little disappointing. I love the colors, but I'll easily use a ball for a round or more so long as I don't lose it. Appreciate the feedback. No problem - I don’t think it effects performance. Usually you can find a sleeve on eBay for $12 shipped so not a big investment to see how you feel about them. I am absolutely ecstatic with my Vice Pro and Vice Pro Soft balls. I love the feel coming off the club face and the putter. They seem to go just as far as a Pro V with very similar accuracy and checking on the green. Now, with respect to wedge shots to greens, I am a 12 handicapper,64 years old, so I don't have the clubbed speed that top amateur golfers would have so I most likely don't get the maximum performance from a Titleist Pro V ball. And, I am certainly not going to pay $45+ for a dozen when I can purchase these great Vice balls at roughly half the price. I play the Red Pro Plus. When I first got them I was also worried about the durability so I decided to play the same ball until I lost it or it became completely unplayable. I sent it into the woods with a driver on its 47th hole. I have no trackman numbers or anything but it was still performing very well. On the 46th hole (par 3) I expected my 8 iron to go 155+ and thats exactly what it did. Note though, a flushed wedge shot will leave marks. Oh yeah, and which ball is easier to find in high rough. Comments on visibility? for me the lime was more hi-vis than the red. Maybe in some dormant grass the red would be better. Hard to describe the lime and pictures do not do it justice. The Red and Lime are equally easy to find in the rough. In fact, the red is strikingly awesome to look at on the green. However, the red is tough to see in the air IMO while the lime is a bit easier. Red is tough to see under the trees in the straw, or - here in the pacific north west - the dirt and mud under the pine trees and douglas firs. So take that for what it's worth. I prefer the Lime, but like the look of the RED more (just a bit harder to see in the air) on the grass. I second this. Color is painted on and not a part of the balls material. Color comes off the ball within a few hits. Definitely not a good ball for those who want to use same ball all round. Even better for their tour ball (that I read is softer than the last model). i don’t think so. Add 5 to cart and then go to check out and see if there is one free. Just ordered 5 (6) dozen Pro Plus. No code needed, just add the 5 dozen to your cart and the free dozen will show up. Played this ball last year and loved it. Spins marginally less on the green than ProV1. More similar to the hot and check of the TP5x than the hit and pull back 6' of a ProV1. At least that's my experience. For $22 per dozen, I am not good enough to know/care about the difference. I have always played Titleist and now the change has been made. 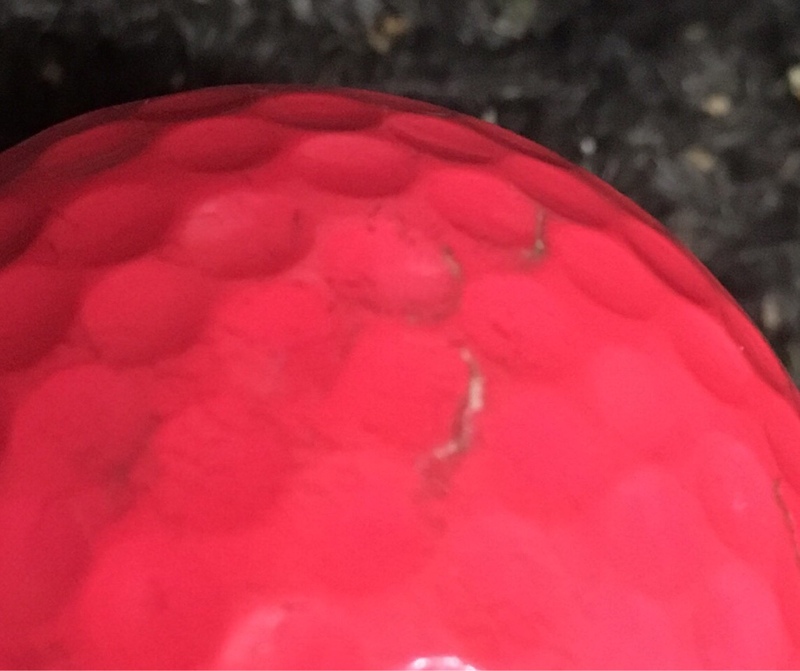 For what it's worth, every "premium" ball you knock into a few trees and cart paths after 27 holes is going to look beat up lol. 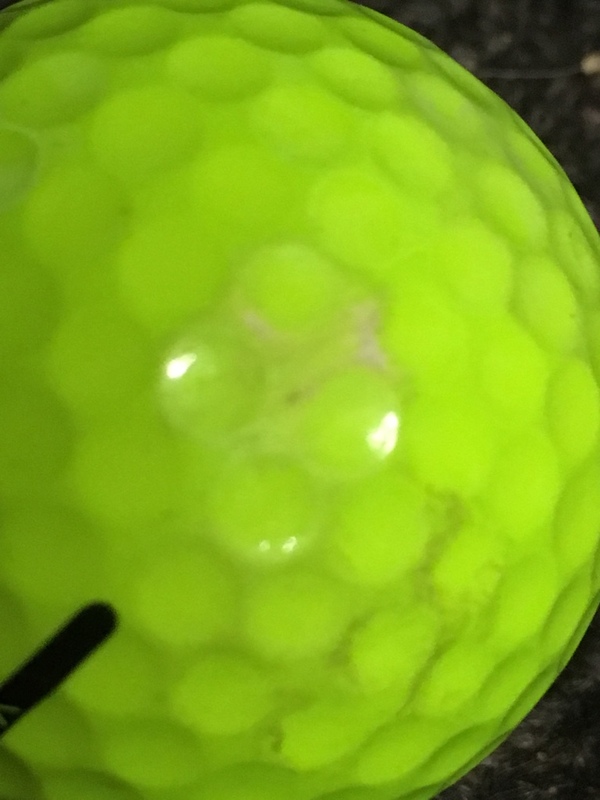 I tried out a dozen Pro Soft in the matte lime last year and I think they are the best color ball on the market. I just prefer white. 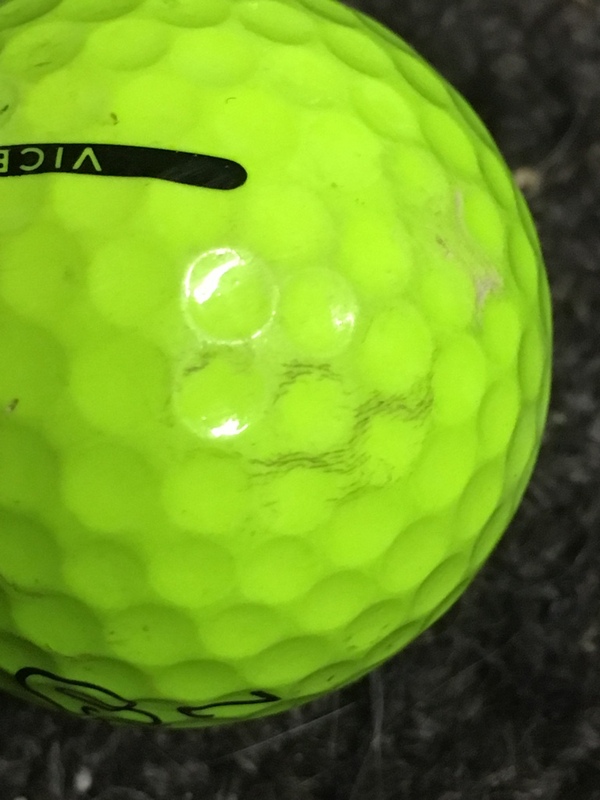 What are the compression of these balls? So I was able to snag one from my manager today to play in golf league, a vice tour pro plus. I have played Nike RZN platinum for the last year and stocked up on them when they had the "practice" ones for 8/dzn. I was a little worried about durability that others mentioned but after 18 holes it is still in good shape. I swing driver avg 107 and carry about 255-260. I thought it was pretty comparable to the Nike RZN platinum all around. It was maybe 2 yards shorter although not being able to hit 50 drivers, 50 6 irons and 50 PWs and see the average it's hard to tell. Green side spin was fine and all in all I liked it. If I didn't have a surplus of Nike I would definitely consider that as my new ball. So my buddy is a doctor and his opinion is the green balls are easier to follow than the red balls. I thought the red would be the way to go as one of our playing partners is visually impaired but he said the optic greens are the way to go. I bought 5dozen Pro + balls a few weeks ago and unfortunately had limited play time with them since the weather has still been poor. But when I did use them, distance control was similar to my B300S and the green side spin was enough to make me confident chipping some in low and fast with enough bit to hop and stop. I play standard white and they've handled wear and tear well. I really like the matte white of the Soft but liked the performance of the Pro + better. Got my custom done too cause why not. I'm not going back to the Stones, for the price and performance. The lime green seem to glow in the deep rough. I tried the matte finished Pro Softs yesterday. Spring finally arrived here in Michigan and I have to say you just can't clean the mud off these things. So far, not a fan of matte finishes.